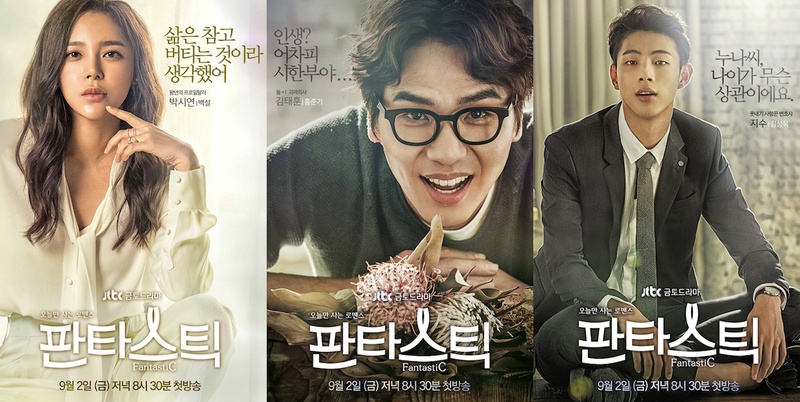 Here’s main supporting cast character posters for upcoming JTBC drama series “Fantastic” starring Kim Hyun-Joo & Joo Sang-Wook. The character posters are of Park Si-Yeon, Kim Tae-Hoon and Ji Soo. In the upcoming drama series Park Si-Yeon plays Baek Sul. She is the daughter-in-law of an elite political family. She hides her real personality, behaving modestly. Kim Tae-Hoon plays Hong Joon-Gi. He is the doctor of So-Hye (Kim Hyun-Joo). He was diagnosed with cancer 5 years ago. Due to his unusual body condition, where anticancer drugs are ineffective, he can not receive treatment. Nevertheless, he is bright and positive. Ji Soo plays Kim Sang-Wook. He works as a lawyer and falls in love with Baek Sul. “Fantastic” first airs September 2, 2016 in South Korea.